Party Casino Review - Grab 50 Free Spins on Starburst! Since this is one of the Internet’s most popular casinos, we decided to try them out and write a Party Casino review of our own. We’ll be talking about their abundant and diverse library, useful and enticing bonuses, and so many other exciting features that make it one of the best casino sites in the UK. As its name suggests, this Casino puts an emphasis on having fun while gambling. The website is perfectly optimised and it comes with pink and blue as its primary colours that convey a sense of exclusivity and elegance. It is important to note in our Party Casino review that they won the EGR Casino of the Year award for 2018 – a trophy which backs our top rating for this section. The library contains more than 200 games, which is quite below the standard. Despite such a low number, the website probably has one of the most diverse offers with the emphasis on jackpots we’ve seen. Members can play slots, table games, instant games, Roulette, Video Poker, Blackjack, and Live casino rooms. When it comes to promotions, there’s a Party Casino Free Spins offer for all new customers and a monthly prize draw in which you can take part at any time. Although there are only two promotions, the wagering requirements and the win ratio are definitely in the players’ favour. Customers that have a query can visit the comprehensive FAQ page that covers all the necessary info on registering and playing. Alternatively, players can reach the site’s customer support team via 4 different channels: live chat, mail, email contact form, and the phone number +350 200 987 68. Unlike other Party Casino reviews, ours is based solely on user-experience and real-money play, which is why we tested their whole banking process. Both minimum deposits and withdrawals are €10, and the website will let you use both dollars and euros at the same time, which is quite rare. Note that you will have to wait up to three business days for the withdrawal – way more than the standard waiting period. Certified Encryption, and comply with the ISO27001:2013 certified business practices. In addition, every RNG at Party Casino is tested by iTech Labs and you can check the RNG and RTP data on a separate page entirely dedicated to them. The bonus section is pretty lacklustre with the website currently offering only two bonuses – one of them being a welcome bonus and the other one a monthly prize draw. Although the number of bonuses is quite low, the welcome bonus is really rewarding and comes with a very low wagering requirement. In addition, the monthly prize draw is held on every first day of the month. Every new customer can claim the Welcome Bonus which entails 50 Free Spins that can be used only on Starburst slot. The wagering requirements are quite low at 10x, but you have to use them and fulfil the requirements within 7 days from the claiming. Also, note that the players who use Skrill, Entropay, and/or Neteller as their banking methods can’t get this bonus. For those who are eligible to claim it, all you need to do is create an account, deposit at least €10, and enter the special Party Casino bonus code ‘WELCOMEBONUS’ on the depositing page. Every month, the casino organises a prize draw on the first day of the month where they give away £1,000. Members who want to enter have to opt in from the bonus page and deposit at least £20 or currency equivalent. 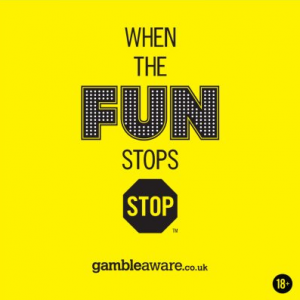 The website will grant you 5 draw tickets for every £20 of your first deposit, and 2 tickets for every subsequent £20 you deposit during that month. The more tickets you have, the bigger the chances are for you to win. The website currently hosts a little bit over 200 games. However, even though the amount is not satisfying, the roster is quite diverse when it comes to the game type and the prize range. The website contains the usual casino categories such as slots, live casino games, and table games, with an addition of a separate jackpot category and instant games. To bring you the most diverse possible roster, the casino has partnered with some of the most famous software producers such as Yggdrasil, Blueprint, NetEnt, and Evolution Gaming. In addition, most of the games have a Free Play mode, so you can test them before wagering. The slots section contains around 100 different titles along with a special jackpot category that hosts additional 70 jackpots with prizes ranging from €2,000 to €500,000. Members can choose between different types of slots as well. There are Ygdrassil’s slots that have a respin feature you can use to clear the winning symbols from the reel. Once you do that, a new set of symbols will be drawn doubling your chances of making a win per every spin. Also, Blueprint slots allow for multiple lines during play, which increases your chances of winning; so bear that in mind and take advantage of it when you decide to play on Party Casino. Live casino enthusiasts can enjoy in 30 different live lobbies, most of them provided by Evolution Gaming. The category contains 12 different Roulette, 4 Blackjack, 3 Baccarat, and 4 live poker rooms, while the stakes range mostly from €0.5 to €1,000. The Roulette section contains somewhere around 14 Roulette games with an addition of a couple of live games from the live casino section. Probably the most interesting game that we found while making our Party Casino review was the Terminator Roulette, not just for being a licensed franchise but also for having amazing 3D graphics and a max win of €10,000. The video poker section is the least populated one with only 7 poker games. Players can try their luck with 3 Bonus Pokers coming with different stakes, 3 Draw Poker games, and one Jacks or Better. Casual gamblers can enjoy the abundant Instant games section. The category has around 60 instant games including various Bingo, Keno, and Lotto with a couple of licensed franchises like Brittain's Got Talent and Ghostbusters. Blackjack enthusiasts will be delighted to have a choice between 13 Blackjack games with stakes ranging from €0.5 to €1k. Once again, we would like to single out the Terminator Blackjack and Premium Blackjack Pro both for high wins and amazing 3D atmosphere. Members who prove their loyalty can get invited to the comprehensive VIP club. VIP members can enjoy special bonuses, gifts, hospitality events, personal account manager, and dedicated 24/7 support. The website’s platform is stable and fully optimized, with all games running at full speed. If you have a bandwidth speed problem, Party casino offers you to download their PC app to play the games from your desktop. While playing, we didn’t find any glitches or bugs on either the downloadable client or the browser version, so we can confirm the stability of both. Apart from being highly optimised, the website comes with a slick minimalistic design that doesn’t sacrifice the functionality. Every page has the recognisable purple-and-pink colour scheme that aims to invoke an atmosphere of exclusivity. All the necessary buttons and info are accessible and visible from the homepage. The top of the screen contains your account info and balance, the centre has the game roster, while the bottom is reserved for licences and legal documents. If members wish to enjoy their games on a mobile device, there is a mobile app that contains most of the roster from the browser version along with all the game categories. New mobile players can claim the special 100% up to £500 welcome bonus with the addition of 20 Free Spins on Mellons Madness Deluxe. Additionally, the mobile app has special leaderboards, instant-win clickcards, and Free Spins offers you can’t find on the browser version. Lastly, the website will ask you for your address and phone number. Once you enter all the necessary information, your account will be created, and you can start playing. The website is available in Russian, English, and German, and you can see all the eligible countries from their registration page. Additionally, you can contact the Party casino support at the bottom of the page if you encounter any problems. The customers who experience problems while playing can start the troubleshooting by visiting the casino’s comprehensive online Help page which covers all the basic information you may require while opening an account or playing. If your problems are more serious, you can reach their customer support team via 4 channels: live chat, mail, email contact form, and their phone number +35020098768. We reached the Party Casino live chat team asking them a couple of general questions and received a swift and knowledgeable reply. The website accepts payments made using the US and Canadian dollars, euros, pounds, yens, and rubles. When it comes to payment methods, you can top up your balance using Abaqoos, Visa, Maestro, MasterCard, Skrill, NetEnt, Entropay, and Paysafecard, among many others. The minimum deposit and withdrawal amounts are €10 or currency equivalent, but when it comes to the processing time, the deposits are instant while it may take up to three business days for your withdrawal to be completed. The website takes great care of security by employing secure firewalled datacentres and certified encryption, and it is compliant to the ISO27001:2013 certified business practices. Party Casino online is licensed and regulated both by the Gibraltar Gambling Commissioner (licence number 051 and 50) and the UK Gambling Commission (licence number 000-039011-R-319371-004). If you want to make sure all their games are fair, you can visit the Game Fairness and System Fairness pages where you can download all the RNG and RTP reports issued by iTech Labs. Party casino is one of GVC Holdings’s oldest and most experienced casino platforms. The website offers a highly diverse game library that is filled with exciting titles. New players can claim the rewarding welcome bonus that comes with substandard wagering requirements. But this is only a glimpse into the full offer, so let’s take a look at all of their benefits before we finish this Party Casino review.